Established in 2001, Ningbo Chaoqiang Handicraft Co., Ltd. is a middle-sized professional garden products manufacturers, which covers a production area of 28,000 square meters. We have 450 highly skilled workers. Our main products are garden items, such as wind chimes, candleholders, garden stakes, plant picks, bird feeders and garden decorations. 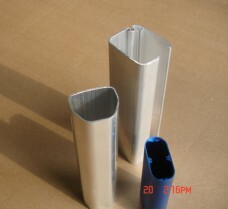 We can make aluminum extrusion, hardware process and surface treatment with aluminum oxidation and so on. We have an effective R&D Team, which is operated by 15 technologists and engineers. They are accountable for designing and developing new unique products for the American and European markets. Every month, there are more than 20 new designs for customers through R&D colleagues efforts. Moreover, As a well equipped manufacturer with advanced technology, we have complete assembly production line and plastic injection machine. We make products from raw material processing, such as aluminum tube to finished products, and most of the procedures are performed inside our factory. Furthermore, a good QC and inspection management system is running well during the spot production, so as to guarantee each of our products is perfect for customers. Our products are selling well in the American, European, Japanese and Australian markets, and are enjoying a good reputation on price, quality and service. For now and the future, we are keen on building ebullient, innovative, team and comfortable corporation with overseas customers. Please feel free to contact us for more details.